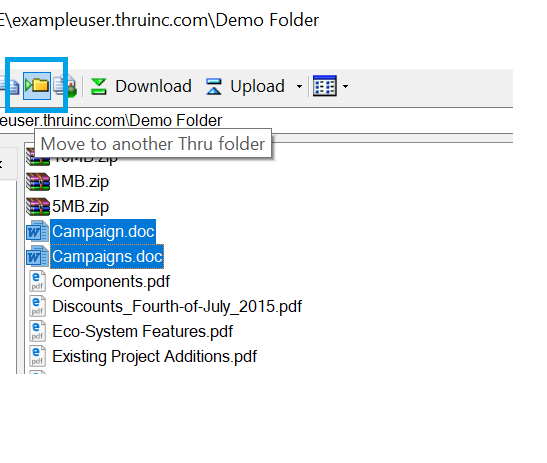 You can move files to a different folder within Thru Explorer. 1. 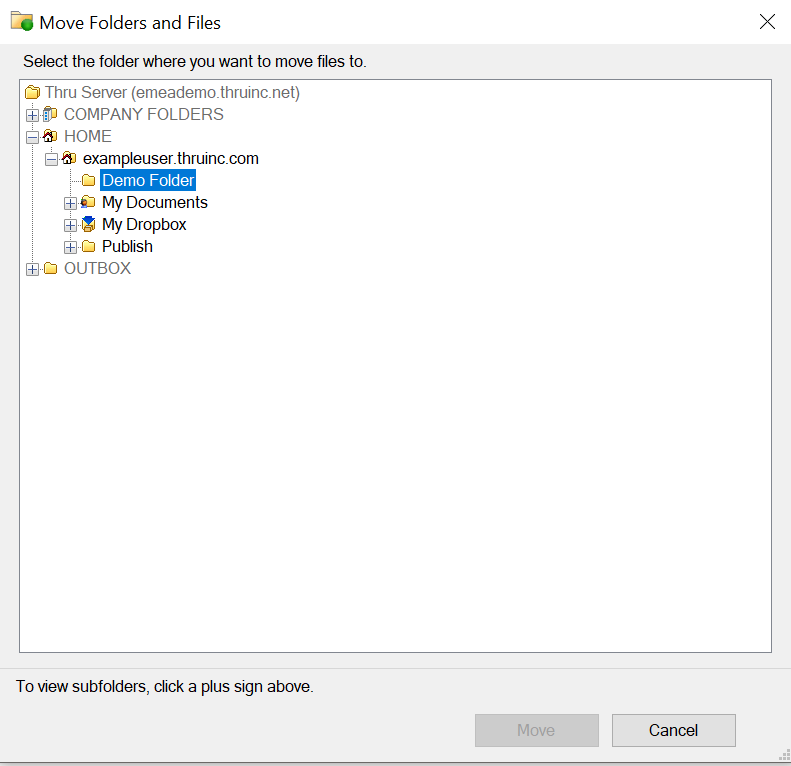 Select the file or folder you want to move, and then click Move to Folder. Optionally, you can go to Edit > Move to Folder. 2 The Move Folders and Files window opens. Click on the folder to which you would like to move the file, and then click Move.